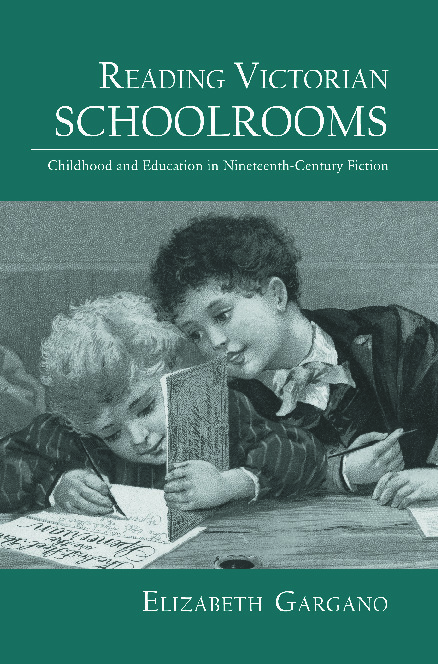 Reading Victorian Schoolrooms examines the numerous schoolroom scenes in nineteenth-century novels during the fraught era of the Victorian education debates. As Gargano argues, the fiction of mainstream and children’s writers such as Dickens, Brontë, and Carroll reflected widespread Victorian anxieties about the rapid institutionalization of education and the shrinking realm of domestic instruction. As schools increasingly mapped out a schema of time schedules, standardized grades or forms, separate disciplines, and hierarchical architectural spaces, childhood development also came to be seen as regularized and standardized according to clear developmental categories. Yet, Dickens, Brontë, and others did not simply critique or satirize the standardization of school experience. Instead, most portrayed the schoolroom as an unstable site, incorporating both institutional and domestic space. Drawing on the bildungsroman’s traditional celebration of an individualized, experiential education, numerous novels of school life strove to present the novel itself as a form of domestic education, in contrast to the rigors of institutional instruction. By positioning the novel as a form of domestic education currently under attack, these novelists sought to affirm its value as a form of protest within an increasingly institutionalized society. The figure of the child as an emblem of beleaguered innocence thus became central to the Victorian fictive project.